e che lo Spirito Santo avrebbe insegnato le cose future.. : vangelo s Giovanni 16, 12 - 14. "Today marks the beginning of a penitential season. * I desire all sacrifice and prayer be given for unity in Truth. I desire this offering of every prayer and good work, as opposition to Truth has divided leadership, religions and nations. So much good is opposed when Truth is not recognized. Factions have taken root within the Church, confusing and dividing direction. While there should be unity behind the new president in this country, people remain politically divided and do not see the Truth he is standing for. You have terrorism in the world as the greatest enemy of the Truth." "The Truth of the Commandments has become controversial. Even the public display of the Commandments is challenged. This is where Truth must first and foremost be accepted for all the lies Satan promotes to be defeated. This is why Holy Love - the embodiment of the Commandments - is so challenged. People should be drawing together in unity behind Holy Love. There should be no opposition." "The Truth of the Commandments and of Holy Love need to define the unity I call you to. Do not oppose this path of unity in Truth I call you to. Be of one heart and one mind." Synopsis: Be unified in Holy Love and Holy Humility with one mind and one heart. Dio disse a Bruno Cornacchiola che..... LEGGI ! ..an end to legalized abortion would change the future of the world." "Every teardrop I shed carries with it an unborn baby soon to be exterminated on the altar of abortion. All the potential of every unborn child either blossoms as the child is born or dies with the unborn baby. This is why I continue to reiterate that an end to legalized abortion would change the future of the world." "To date, many would-be prominent world leaders have been aborted. Great scientists who would have discovered cures for many diseases prevalent today were never given their first breath in the world. Religious leaders who would have clearly upheld Tradition were aborted, as well." "You see why I weep and why each tear embraces an unborn child. Weep with Me. Pray with Me. This is a battle unlike any other." Le plus grand péché d'omission est pour ceux qui ne prient pas ou ne protestent pas contre les avortements Messages de Jésus à John Leary (USA) Lundi 23 janvier 2017 : (Droit à la vie pour le non-né) Jésus : Mon peuple, vous voyez dans l'Evangile la mention de Belzébuth, le « Seigneur des Mouches », qui a attaqué votre chapelle de refuge. Quand vous combattez le diable et les hommes mauvais, vous savez que vous pouvez compter sur moi pour vous aider, parce que j'ai le pouvoir sur les démons. Lorsque vous vous battez pour sauver la vie de l'enfant à naître, vous combattez les démons et les gens méchants qui soutiennent l'avortement. Toutes ces femmes, qui avortent leurs enfants, souffriront à leur jugement. Je pardonnerai le péché, mais il y a toujours réparation pour ce péché qui doit être payé. En outre, ces personnes, qui soutiennent l'avortement, sont passibles de punition. Tous mes fidèles, qui luttent pour sauver la vie des enfants à naître, recevront leur récompense dans le ciel. Je vais envoyer mes anges pour vous protéger et vous guider lors de votre voyage à la Marche pour la vie le 27 Janvier 2017. Ne vous inquiétez pas pour votre stationnement parce que je vais vous aider dans votre besoin. Tout ce que vous faites dans les prières et les bonnes actions pour les enfants à naître, est bien apprécié dans vos efforts pour sauver des vies. Vous vous rappelez bien comment ma Mère Bénie a dit : « Le plus grand péché d'omission est pour ceux qui ne prient pas ou ne protestent pas contre les avortements ». Les vies de mes petits sont trop précieuses pour qu'ils soient tuer pour une raison quelconque. Priez pour que ces mères gardent leurs enfants. Les bébés à naître sont des cadeaux de la vie que le diable essaie d'emporter. Priez pour l'arrêt de l'avortement parce qu'un jour vos prières seront exaucées. (...) Quand j'apporterais mon Avertissement, chaque mère d'un bébé avorté saura exactement le genre de vie que leur enfant était censé vivre. Il y aura de grandes lamentations quand elles regarderont le meurtre de leur bébé dans leur examen de vie. Je pardonnerai ce péché si les personnes impliquées se repentent et cherchent mon pardon. Essayez de conseiller à ces femmes de ne pas avorter mais qu'elles amènent leur bébé au terme de la naissance. Je vous aime tous et je veux que vous aimiez toutes mes créations de vie. 25. Dopo questo breve dialogo, la Signora gli rivela subito la sua preziosa volontà. Blessed Mother is here* as Our Lady of Guadalupe. She says: "Praise be to Jesus." "This country is so fortunate that it is returning to its traditional values which it was founded on. In the Church, however, Traditions are slipping away and not stressed. This is being accomplished in an insidious way under the guise of bringing souls back to the Faith. But what faith are they returning to? The Real Presence, sin and personal holiness are not stressed. The Commandments are not valued. Few there are who keep holy the Sabbath. Mass media supports every type of sinful behavior and is not challenged from the pulpit." 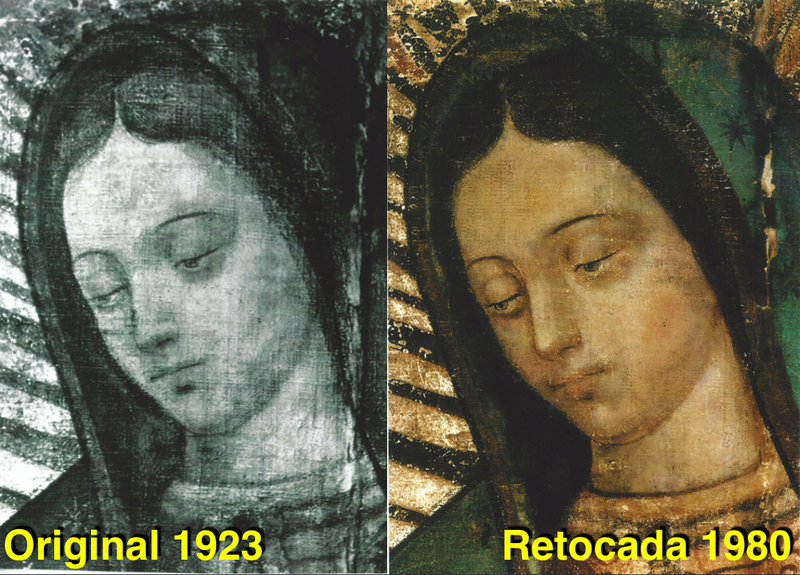 "When I appeared to Juan Diego centuries ago, the Protestant Reformation was underway. Today, I tell you, many Protestants have stronger faith and love of God than many cradle Catholics. My Image on the Tilma, which has not deteriorated, does not reflect the faith in hearts which has ebbed away." "These things are generally not spoken of so as to save feelings and not make anyone uncomfortable. I come as your loving Mother during this age of confusion, to help you to recognize the Truth. There are two Churches in what is known as the Catholic Faith. One supports Tradition. The other confuses its followers by fringing on new rules and definitions, but not quite endorsing them. The time fast approaches when these two will be even more visible." "Dear children, you have heard Me say often that what is in hearts then spills out into the world. Every evil is formed first in the heart. This is also true of good, as was proven in the most current presidential election. The people were tired of corruption, dishonesty and disordered control, and they chose otherwise. The good fruits of this will be apparent soon." "I desire you understand the term 'globalization'. It means to unite and spread something worldwide. This is good if it is Holy Love, which I desire people be united in worldwide. However, there is an evil globalization being promoted by those of great influence these days. It would unite all governments and open the door to an Antichrist as the leader. I urge you to pray for discernment so that you are not tricked by false signs and promises." "When you come here to this site you will receive the properties of discernment, which if put to good use, will help you to decide good over evil." "Dear children, I come to you today as the Virgin of Guadalupe. I invite you to realize that every problem, every confusion and each situation is matched with God's Grace. It is up to the soul to cooperate with the graces given. The greatest of all graces is God's Mercy, which is offered at the last moment of every soul's life. The repentant heart should always have hope then." "Dear children, once again, this evening I urge you to pray often for the welfare of your new administration. Those who oppose the changes that are in the works are not above criminal acts. I count on your prayers to bring My Protection upon the administration." "I'm taking your petitions with Me to Heaven this evening and will place them on the Altar of My Son's Most Sacred Heart." "To all here present, I'm extending My Blessing of Holy Love." STATE MOLTO ATTENTI CON I VACCINI ANTIVIRALI PER IL CONTROLLO DELLE EPIDEMIE E SOPRATTUTTO IL VACCINO ANTIFLUENZALE,CHE HANNO LO SCOPO DI DIMINUIRE LA POPOLAZIONE MONDIALE. "Continue to choose Truth over compromise. When a soul or a nation tries to re-define Truth, distance is placed between himself or the nation and God's Will. This is how authority is abused and whole nations are misled. This is why you have confusion and lack of direction in the world. This is why your nation has become like a broken vessel which must be returned to the Potter for repair." "Nations and the world can be united without submitting to a global government. A One World Government invites evil into leadership. The world can pull out of this downward spiral away from God by uniting in Holy Love. That is the unity I have come to inspire and encourage." CLICCA SU: 25, 26, 27. "The problems within this nation will be resolved under this new regime, but not without some division. With the passage of time, this president-elect will prove himself to be one who cannot be manipulated or coerced into alternatives from his resolve. Much will be accomplished. Your nation will be stronger and so too the world, as terrorism will be confronted vigorously." "Do not believe - no matter who says this - that to be charitable you must generously give 'carte blanche' to all refugees. That is a reckless approach and uncharitable to the legal citizens of this country who deserve protection from terrorists seeking to slip in under the guise of seeking refuge. A 'safe haven' for refugees should be established in the Middle East and funded by all nations. This type of charity would succeed without the threat of weakened national security." "Take pride in your borders once again. View immigration as a privilege - not a right on demand. It is not just the underprivileged who have rights, but each and every person from conception to natural death. When this new regime begins, a breath of fresh air will blow across this nation." "None of this would have been possible without a concerted prayer effort." vi presentiamo il messaggio della Madonna del 25 maggio 2013, nel quale Maria Santissima parla del suo piano per Medjugorje in tutta la sua larghezza e profondità, così come lo ha ricevuto da Dio Padre. Questo piano si lega a tutte le sue apparizioni precedenti e, particolarmente, a quelle di Fatima. La Madonna, infatti, afferma: “…Le apparizioni di Medjugorje sono la naturale continuazione di quelle di Fatima”. La Madonna desiderava portare a compimento a Medjugorje ciò che aveva iniziato a Fatima. Il filo conduttore di tutto è la ricapitolazione in Cristo dell’intero l’universo. Dal messaggio appare evidente perché le apparizioni di Medjugorje durino da così tanto tempo: la Madonna dice: “Le apparizioni di Medjugorje sono le mie ultime apparizioni sulla Terra, non ce ne saranno altre”. Desideriamo accogliere queste sue parole e custodirle come un tesoro prezioso. Vi invitiamo a fare altrettanto e a compiere le vostre scelte, anche in vista dell’anniversario delle apparizioni di Medjugorje il prossimo 25 giugno. Da parte nostra vi accompagniamo con la preghiera e vi benediciamo. desidero approfondire con voi il piano di Dio di cui ho parlato in molte delle mie apparizioni, particolarmente a Medjugorje. È un piano che ha origine dall’eternità, dal momento in cui è stato commesso il peccato originale (Gn 3). Da quel momento, infatti, Dio ha messo in atto il suo piano per ricapitolare in Gesù Cristo ogni cosa, al fine di salvare tutta l’umanità e ricondurla a sé. Questo piano ha conosciuto due fasi ben precise: dapprima la fase di preparazione alla venuta di mio Figlio sulla Terra, nella quale Dio ha lungamente preparato il popolo di Israele affinché accogliesse il Messia e ne desse l’annuncio a tutta la Terra. Dio ha parlato ad Israele attraverso i grandi profeti, preannunciando la venuta e l’opera del redentore. Dio è andato verso il suo popolo, è sceso nella condizione umana e ha toccato la creazione intera. Dopo l’incarnazione, morte e risurrezione di mio Figlio, ha preso avvio la seconda fase, che è tuttora in corso, nella quale l’intera creazione tornerà a Dio, attraverso Gesù Cristo. Si tratta del processo inverso rispetto alla prima fase: qui è la creazione che deve andare verso Dio per essere completamente rinnovata. 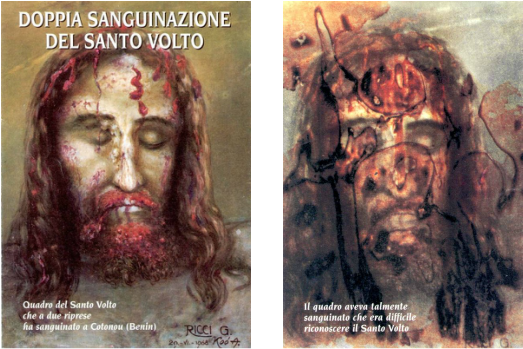 Sarà questa la nuova creazione, liberata dalla corruzione del peccato e della morte, sottomessa a Gesù Cristo e lavata nel suo sangue, per essere da lui presentata al Padre nella potenza dello Spirito Santo. Il piano di ricapitolare in Cristo tutte le cose in cielo e in terra (Ef 1, 8-12) è lo stesso piano che sono venuta ad annunciare con le mie apparizioni sulla Terra. In ogni tempo e in ogni luogo, infatti, sono stata mandata da Dio per invitare gli uomini a conoscere e amare mio Figlio, a partecipare alla sua morte e risurrezione per diventare, attraverso di lui, veri figli di Dio, creature nuove destinate alla nuova creazione. Questo è il messaggio che ho ripetuto agli uomini di tutti i tempi, con parole differenti e adatte alle diverse circostanze, ma sempre rivolte ad un solo fine: richiamare l’umanità alla conversione, alla preghiera e al pentimento per aiutarla così a ritornare a Dio. Questi miei inviti accorati sono spesso caduti nel vuoto in molte anime ma ho sempre rispettato la vostra libertà. Dio mi ha mandato a voi continuamente, soprattutto nei momenti di maggior pericolo per la vostra umanità. Vi ho salvato da molte catastrofi, vi ho liberato da malattie e infermità; vi ho aperto la strada verso un autentico cambiamento della vostra vita e del vostro pensiero. Tuttavia, è con le mie apparizioni a Fatima che Dio ha impresso una forte spinta al suo piano: per volere di Dio, ho rivelato ai veggenti l’esistenza di altre umanità nell’universo. A Fatima sono venuta accompagnata non solo dagli angeli ma anche da fratelli di altre umanità fedeli a Dio; i segni dati al popolo rivelavano chiaramente la presenza di quelle umanità. Il mio annuncio circa la vita dell’universo non era completamente nuovo: Gesù aveva parlato di questa realtà ai suoi apostoli ma essa è stata taciuta nei secoli. A Fatima ha mandato me, Madre di suo Figlio e Madre vostra, a riaffermare la verità sull’universo: che esistono diverse umanità e che tutte devono essere ricapitolate in Cristo per formare un solo popolo di Dio. Tale rivelazione non avrebbe dovuto rimanere segreta: Dio desiderava che l’esistenza di altri fratelli nell’universo venisse annunciata all’umanità della Terra dalla sua Chiesa. A questo annuncio sarebbe seguita la venuta dei fratelli fedeli dell’universo, mandati da Dio ad affiancare la Chiesa nella sua opera di evangelizzazione dell’intero universo. Questo avrebbe comportato un grande salto di qualità, non solo per la Chiesa ma per tutta l’umanità dell’universo: avreste indebolito Satana, impedendo che la sua azione diventasse così potente come è oggi; avreste evitato guerre devastatrici e molti altri mali. Così non è stato. Sono passati molti anni dal mio annuncio e questa verità è stata ancora una volta taciuta. Siete consapevoli della gravità di tutto questo? Avete parlato e riparlato del terzo segreto di Fatima giocando con le parole. Non avete capito che Dio, presto o tardi, rivela ciò che desidera, nonostante la vostra durezza, secondo la parola di Gesù: “Non c’è nulla di nascosto che non sarà svelato, né di segreto che non sarà conosciuto” (Lc 12,2). Ciò che è di Dio non può essere nascosto dagli uomini, nonostante la loro furbizia. Le mie apparizioni a Fatima hanno portato e portano tuttora molto bene alle anime che mi hanno accolto, così come alla Chiesa e all’umanità ma non hanno sviluppato quell’enorme potenza che Dio aveva previsto, proprio a causa del mancato annuncio della vita nell’universo. Il mio annuncio a Fatima è stato ridimensionato dall’azione di Satana che interferisce sempre con i piani di Dio, servendosi della tiepidezza degli uomini. Dio, però, desidera che vi sia rivelata la verità sull’universo, perché è la verità sull’opera della creazione che Satana non sopporta. Non sopporta l’esistenza di uomini fedeli a Dio, che lo mettono a tacere con la potenza del loro spirito. Cerca in ogni modo di impedirvi di conoscere questi fratelli, teme la vostra comunione con loro. Negando l’esistenza di altri uomini dell’universo, Satana cerca di sminuire la grandezza dell’Onnipotente. Dio, invece, desidera che conosciate ed amiate i fratelli dell’universo, perché siete tutti suoi figli. Per questo motivo Dio mi ha mandato ancora una volta a voi e sono venuta a Medjugorje. Le apparizioni di Medjugorje sono un evento particolare nella storia della salvezza: la loro durata, infatti, non ha precedenti. Questo lo dovete alla mia misericordia verso di voi, perché ho chiesto ed ottenuto da mio Figlio di stare in mezzo al mio popolo il maggior tempo possibile. Rimarrò con voi fino a quando i cuori dei cristiani si apriranno, almeno in parte, a comprendere la realtà dell’universo così come è in Dio; fino a che la Chiesa non si avvierà verso la proclamazione di questa verità. Se questo avverrà, le mie apparizioni termineranno. Se non avverrà le mie apparizioni termineranno ugualmente perché, a quel punto, non avrò più nulla da dirvi oltre ciò che vi ho detto lungo i secoli. Le apparizioni di Medjugorje sono le mie ultime apparizioni sulla Terra, non ce ne saranno altre. Dio mi ha mandata a Medjugorje per portare il popolo nella profondità della vita cristiana, per guidarlo attraverso un cammino di fede mediante i messaggi dati ai veggenti. Nei piani divini la parrocchia di Medjugorje doveva essere il primo nucleo di un popolo nuovo, guidato in modo straordinario, al quale si sarebbero aggregati molti altri cristiani, uniti spiritualmente nello stesso cammino di guarigione ed elevazione. A poco a poco avrei presentato per intero la realtà dell’universo, dando compimento a quanto iniziato a Fatima. Le apparizioni di Medjugorje, infatti, sono la naturale continuazione di quelle di Fatima. Questo popolo avrebbe rinnovato la Chiesa e l’umanità. Cosa è successo a Medjugorje? Dopo il primo entusiasmo, alimentato anche dai molti segni concessi da Dio, i parrocchiani sono diventati sempre più freddi. Nonostante i miei richiami, le persone non volevano entrare nella profondità della preghiera e del cammino. La loro attenzione era attratta dal grande afflusso di pellegrini e, purtroppo, anche dal guadagno che da ciò ne derivava. Gli interessi umani avevano superato quelli di Dio, nonostante la fede e la buona volontà di molti. A questo si è aggiunta l’indecisione della Chiesa ufficiale che non si è ancora pronunciata sulle apparizioni. Ancora una volta, Satana si è infiltrato nei piani di Dio, come è solito fare quando trova le porte aperte a causa della superficialità dei credenti. Dopo i modesti risultati ottenuti dalla parrocchia di Medjugorje, col permesso di Dio, mi sono rivolta anche ad altri: gruppi di preghiera, nuove comunità, sacerdoti, ecc. ma non ho potuto andare oltre un certo livello, non ho potuto trasmettere neppure a questi figli la rivelazione della vita nell’universo. Mi sono limitata ad affidare ai veggenti di Medjugorje i segreti di cui tanto si parla, che saranno rivelati a tempo debito, ma neppure così ho potuto svelare interamente tutto ciò che Dio desiderava. Anche in questo caso ho rispettato la vostra libertà. Medjugorje ha prodotto tanti buoni frutti in questi anni, e nessuno può negarlo: è stata una ventata di novità per i cristiani della Terra; ma neppure queste apparizioni hanno potuto dispiegare tutta la loro potenza, e la verità sulla vita nell’universo rimane tuttora oscurata. A questo punto Dio ha deciso di imprimere al piano di ricapitolazione in Cristo una forte accelerazione, non potendo permettere oltre l’azione distruttiva di Satana, sempre più forte in tutto l’universo. Ha iniziato quindi a preparare in modo particolare alcuni fratelli e sorelle, scelti da diverse umanità dell’universo compresa la vostra. In tal modo, Dio ha creato un nucleo forte e deciso, capace di aggregare il popolo di Dio in tutto l’universo; ha voluto che fosse composto da individui di pianeti diversi per rendere già operante la comunione e la collaborazione tra le diverse umanità. La preparazione è stata lunga e impegnativa ma Dio ha ottenuto da questi fratelli la risposta che attendeva. È nato così il Nucleo Centrale del quale siete già a conoscenza. Ad esso Dio ha affiancato gli angeli e i fratelli delle umanità fedeli. Dio ha messo così in campo i tre strumenti straordinari di questo tempo che sono appunto gli angeli, il Nucleo Centrale ed fratelli fedeli. Con l’entrata in azione di tali strumenti è iniziata la fase finale di attuazione del suo piano di ricapitolare in Cristo l’intero universo. Voi siete stati informati con precisione di questo piano attraverso due membri del Nucleo Centrale che vivono sulla Terra, il cui compito è quello di rivelare il piano di Dio per questi tempi, così come viene loro trasmesso, per aprirvi orizzonti nuovi nella conoscenza di Dio e della creazione. Per questo da molti anni vi parlano di tante cose, anche della vita nell’universo. Operano in stretta comunione con gli strumenti straordinari di Dio e dai quali sono accompagnati. L’opposizione alla loro azione è stata ed è molto forte ma il piano di Dio non si ferma più: tutta l’umanità dell’universo dovrà essere ricapitolata in Cristo per formare un solo popolo. Dio rivelerà sempre più la presenza di altri fratelli nell’universo; non permetterà agli interessi di pochi di prevalere ancora; non ammetterà ulteriori lentezze e ipocrisie. L’umanità della Terra, fredda e ostile verso il Cuore di mio Figlio ed il mio Cuore, non può condizionare oltre il cammino di tutto l’universo! Anche la Chiesa dovrà fare la sua scelta: Dio si attende che essa annunci all’umanità della Terra, senza più esitazioni, l’esistenza degli altri fratelli dell’universo, figli di Dio, di cui è a conoscenza. Se non lo farà, il Signore provvederà in altro modo. Cari figli, è tempo che le grazie riversate sulla Terra e rifiutate da molti rivivano in un popolo nuovo! Neppure una delle parole che vi ho detto nelle mie innumerevoli apparizioni, in modo particolare a Medjugorje, andrà perduta. Tutto sarà portato a compimento attraverso quanti sono di buona volontà, non solo sulla Terra ma in ogni angolo dell’universo. Tutto deve compiersi in voi e in ogni uomo. La ricapitolazione in Cristo passerà attraverso di me perché sono Madre dell’umanità. Perciò vi prego, figli cari, non mettete ostacoli davanti a Dio! Non rifiutate, per paura o per convenienza, ciò che Dio vuole rivelarvi. Non avete nulla da temere dalla novità di Dio perché essa apre sempre alla speranza, non è mai pericolosa perché il Signore desidera solo il vostro bene. Ancora una volta vi chiedo di pregare perché si realizzi il piano di Dio di ricapitolare tutto in mio Figlio Gesù. Ho bisogno delle vostre preghiere! Ho bisogno della fede di un popolo sincero che si offre a Dio. Chi è umile, piccolo e sincero non teme la novità di Dio perché non ha nulla da perdere. È povero in spirito e si affida a Dio. Sono quelli che si ritengono grandi a temere l’opera di Dio, perché possiedono qualcosa che non vogliono lasciare: potere, privilegi, sapienza umana, ecc. Però mio Figlio ha detto che solo ai piccoli appartiene il regno di Dio, non agli arroganti (Mt 18, 3). Non dimenticatelo mai, cari figli miei! Vi sono vicina in ogni prova e vi benedico nel nome del Padre, del Figlio e dello Spirito Santo”. Cfr Messaggio di San Pietro apostolo del 21 agosto 2012; messaggio di San Paolo apostolo del 30 agosto 2012 pubblicati su questo sito. Cfr Messaggio di Gesù del 5 settembre 2011 dal titolo: “Gli strumenti di Dio in questo tempo”, pubblicato su questo sito. La Madonna si riferisce a Stefania Caterina e Tomislav Vlašić. In diverse occasioni, attraverso questo sito, i libri e le videoconferenze, entrambi hanno apertamente parlato della loro appartenenza al Nucleo Centrale, della loro offerta secondo le intenzioni del Cuore Immacolato di Maria e dei programmi di Dio legati agli strumenti straordinari di questo tempo. COMUNIONI NELLA MANO, LAICI CHE DISTRIBUISCONO LA COMUNIONE :QUESTO SACRILEGIO STA FACENDO PERFDERE A MOLTI L’ANIMA! FIGLIOLI, NON PIU’ COMUNIONI NELLA MANO, NE’ PIU’ LAICI CHE DISTRIBUISCONO LA COMUNIONE, PERCHE’ QUESTO SACRILEGIO STA FACENDO PERFDERE A MOLTI L’ANIMA! 27 GENNAIO 2016 1:45 P.M.
Figlioli del Mio Cuore, la Pace del Signore sia con tutti voi. Piccoli Miei, si stanno commettendo molti sacrilegi con la Santa Eucarestia. Mio Figlio viene oltraggiato nella Sua Divinità attraverso le mani impure e indegne dei Miei figli laici. Come Madre del Figlio di Dio e Madre dell’umanità, vi chiedo Miei figli prediletti, di porre fine a questo abominio! Non più ministri dell’Eucarestia, né più Comunioni nella mano! Il Corpo e il Sangue di Mio Figlio, vengono oltraggiati da molti laici che si attribuiscono compiti che competono solamente ai Sacerdoti e agli altri Ministri consacrati quali: il Papa, i Cardinali e i Vescovi. Nessuna mano che non è stata consacrata attraverso il Ministero Sacerdotale, può toccare Mio Figlio. Vi prego Figli prediletti: Non delegate più questo Ministero Sacro ai Miei figli laici; non rendeteli rei di colpa; lasciate la vostra comodità e adempite al Ministero Sacerdotale che vi è conferito!. Io vi chiedo Miei prediletti: cosa risponderete domani a Mio Padre, per tutti gli abusi e gli oltraggi che molti di voi stanno commettendo con la Divinità di Suo Figlio? Il Cielo piange con Me, vedendo come è oltraggiato e deturpato Gesù Sacramentato in molte delle Sue Case!. Il Mio avversario gode di ogni profanazione che Mio Figlio riceve. Molte Ostie Consacrate vengono perdute per finire nelle chiese sataniche per la celebrazione delle messe nere. Il Mio avversario ha infiltrato in molte Casa di Mio Figlio, molti ministri straordinari dell’Eucarestia che lo servono rubando le Ostie Consacrate per i culti satanici. Migliaia di Ostie Consacrate vengono vendute e a seconda del Ministro della Chiesa che le ha consacrate, così da stabilire il loro prezzo. Un’Ostia Consacrata dal Papa, da un Cardinale o da un Vescovo, è venduta ad un prezzo alto e con queste compiono un rito satanico speciale per causare danno al Corpo Eucaristico di Mio Figlio, rappresentato nella Sua Chiesa. I satanisti distruggono comunità religiose e sacerdotali, con queste Ostie Consacrate dagli alti ministri della Chiesa. Miei prediletti, chi chiedo di fermare questo oltraggio alla Divinità di Mio Figlio, che si sta compiendo da parte dei Miei figli laici. Ogni oltraggio e profanazione che Mio Figlio riceve, è una spada che trapassa il Mio Cuore. Nell’inferno giacciono molti dei Miei prediletti che in vita hanno permesso questi abusi alla Divinità di Mio Figlio, e con essi molti laici, ministri straordinari, che la loro superbia spirituale non permise loro di riparare e di chiedere perdono a Dio per tanto vile abuso. GENITORI, VOLGETE GLI OCCHI A DIO E ALLA PREGHIERA, PERCHÉ I VOSTRI FOCOLARI SI STANNO DISTRUGGENDO E I VOSTRI FIGLISI SI TANNO PERDENDO.! 02 AGOSTO 2016-2: 30 PM CHIAMATA URGENTE DI MARIA ROSA MISTICA AI GENITORI. . Figli del mio cuore, la pace del Signore sia con voi e il mio amore materno e la mia protezione siano sempre con voi. Figlioli, sono molto triste vedere come molte famiglie stanno perdendo la fede, per mancanza di amore e soprattutto per mancanza di Dio. Il mio avversario e i suoi demoni stanno distruggendo le famiglie, creando confusione, divisione e separazione tra loro. La tecnologia impiegata male è la causa della distruzione di molte famiglie. Lo spazio di dialogo e di preghiera nelle famiglie, sono stati rimpiazzati dalla televisione e dal computer, portando ad una crisi di valori in molte case. Per mancanza di una guida, per mancanza di Dio e della preghiera, molte famiglie sono cadute in un buio spirituale, che viene utilizzato dal mio avversario per dividerle e per distruggerle. Genitori, rivolgete gli occhi a Dio e alla preghiera perché i vostri focolari e i vostri figli si stanno perdendo! Il materialismo e il consumismo sfrenato, le occupazioni, e le preoccupazioni di questo mondo, la mancanza di preghiera coniugale ed il permissivismo di molti genitori, è ciò che portano le famiglie a perdere i valori morali, sociali e spirituali. Genitori, molti dei programmi televisivi, giochi di computer e di cellulari, sono pieni di messaggi sublimali negativi, che cercano di portare i vostri figli, lontano da Dio e dalla preghiera. Questa tecnologia di morte conduce molte famiglie ad una crisi. Genitori, fino a quando voi consentite che la televisione, il computer, il cellulare siano le guide dei vostri figli? Tutto l’armamentario che offre la moderna tecnologia, ha lo scopo di rimuovere Dio nelle vostre case. Questa tecnologia è diventata padrona dei vostri figli, i quali trascorrono molto del loro tempo con lei. Bambini, giovani e adulti sembrano essere ipnotizzati; il suo uso sbagliato porta alla distruzione di molte famiglie. Io sono molto triste, perché a causa e colpa dei genitori, molti dei miei figli, giovani e bambini si stanno perdendo. Migliaia di giovani, ogni giorno cadono nell’Abisso, perché i loro genitori hanno dimenticato di amare, dialogare, guidare ed orientare; la cosa più triste, è che con il loro permissivismo hanno permesso che con la tecnologia Luciferina, i loro figli siano lontano dall’amore di Dio. Genitori, prestate più attenzione alle vostre case e non continuate ad essere indulgenti con i vostri figli. Controllate l’utilizzo di questa tecnologia ad uso domestico e destinate più tempo alla preghiera familiare .Portate Dio nelle vostre case, e riprendete quanto prima la preghiera del mio Santo Rosario, così allontanate Satana e i suoi demoni, che attraverso la tecnologia di questi ultimi tempi, è entrato nella vostra vita. Ricordate che egli cerca solo di creare divisioni e quindi rubare anime a Dio. Genitori, non dimenticate che siete responsabili per l’educazione morale e spirituale dei vostri figli. Come genitori e guide, è necessario esercitare un controllo e un monitoraggio di tutto quello che vedono e sentono i vostri figli, così che un domani non vi lamentiate per la perdita delle vostre famiglie. Io vi dico che l’Inferno è un luogo dove si trovano le anime di molti genitori e dei loro figli che si sono persi in questo mondo a causa del cattivo uso che si è dato alla tecnologia. I demoni della tecnologia li hanno allontanati da Dio e rubato le loro anime a Dio e conducono loro e i loro figli fino alla morte eterna. Io vi domando, cari genitori, di non far piangere più il mio cuore. Prendete più presto possibile la direzione e la responsabilità delle vostre case. Tornate alla preghiera in famiglia, leggete la Santa Parola di Dio. Inculcate nei vostri figli l’amore e il rispetto. Ritornate ad insegnare loro I Dieci Comandamenti, perché l’amore di Dio e la sua presenza riprenda il controllo delle vostre case. Nessun altro permissivismo! Voglio bambini semplici, più dialogo, più amore, più comprensione e soprattutto preghiera e rispetto a Dio e ai fratelli. E per tornare a rinascere delle case dove Dio è il centro e la guida delle vostre famiglie. Che la pace del mio Signore e la mia materna protezione, scenda nelle vostre case. Vi amo, vostra Madre Maria Rosa Mistica. Fate conoscere i miei messaggi a tutta l’umanità. Halloween è la festa dei pagani! Distanziatevi da essa e non banalizzatela, perché con essa chiamate il Male e lo fate ridendo perché non sapete cosa state facendo! Tenetevi dunque lontani dal festeggiare questa festa e ditelo anche ai vostri bambini, perché chi festeggia halloween, festeggia ciò che è demoniaco. Statene alla larga amati figli, pregate ed espiate perché sono giorni particolari e onorate Coloro che vi amano, vi guidano e intercedono per voi davanti al trono del Signore. Onorate i vostri Santi perché Essi ottengono per voi miracoli che si realizzano grazie alla loro intercessione! Pregate, espiate, pentitevi e restate fedeli a Gesù! Madre di tutti i figli di Dio e Madre della Salvezza. Amen. Eletti, amici cari, siate miei nel cuore e nella mente. Siate miei ed Io vi condurrò sulle mie ali, attraverso l’etere, a raggiungere le più alte vette della gioia e della pace. Sposa mia, Io, Io, Gesù, posseggo ogni cosa; Io, Io, Gesù, desidero offrire la mia, immensa, ricchezza ad ogni uomo. Dipende da lui accettarla o rifiutarla. Proprio in questo tempo, così importante e grandioso, si decide tutto questo. Chi mi segue deve rinunciare a se stesso, deve vincere la sua debolezza; questo, certo, costa un po’ di sacrificio, ma la vittoria è certa. Solo i primi passi sono più difficili, solo i primi passi; poi, il percorso diverrà molto più agevole. Piccoli miei, sforzatevi di entrare attraverso la porta stretta e fatelo ora che avete ancora una briciola di tempo: la porta, ampia e comoda, conduce alla perdizione. Sposa amata, sono molti coloro che non vogliono fare alcun sacrificio, sono molti quelli che non vogliono rinunciare a nulla per me. Ti dico che chi si è sacrificato ed è riuscito già ad entrare non avrà faticato invano. Mi sono già alzato e sono vicino alla porta: la chiuderò, sposa mia, la chiuderò. Sto per farlo! Ho avvertito, ho ammonito, ho chiamato ogni uomo e nessuno può dire di non aver sentito e visto nulla; solo l’insipiente può farlo. Diletta del mio Cuore, chiuderò, perché il momento è ormai giunto; ma molti, per loro colpa, resteranno fuori, molti che non si curano delle mie parole, che non vogliono aprire gli occhi per vedere e neppure gli orecchi per sentire. Piccola, questa generazione non vuole svegliarsi, chiede molto e non dà nulla, pretende assai e non offre a me, Dio, neppure un attimo del suo tempo. Vedi come le mie Chiese sono sempre vuote? Dov’è il mio popolo? Perché non viene a mettersi al riparo nel mio Cuore che vuole accoglierlo? Quanti sono i battezzati che non vengono mai in Chiesa, neppure nei giorni festivi? Amata, questo è il tempo di affollare le Chiese, questo è il tempo da mettersi subito al sicuro: quello che oggi concedo domani non ci sarà più. Ti dico, mia cara, che oggi molti si giustificano, dicendo che non hanno mai tempo per me, neppure un minuto da dedicarmi; Io dico che domani Io, Io, Gesù, non avrò tempo per loro. Oggi non mi hanno desiderato e cercato; domani, invano, chiederanno: non saranno più ascoltati! Ancora un poco e tutto accadrà: non voglio stancare ancora la vostra pazienza, non voglio che la vostra sofferenza si prolunghi molto. Il mio nemico sta operando, alacremente: nulla può, nulla potrà contro chi si è abbandonato al mio amore; ma acquisterà sempre più potere su chi ha ceduto a lui anche in minima parte. Siate saldi nella fede e fermi nel servizio a me ed alla mia causa; vi dico che vi sosterrò e giungerete presto, senza troppa fatica alla meta. Ma state bene all’erta, perché l’astuto non mollerà mai la presa e fino all’ultimo cercherà di recuperare il terreno perduto. Vieni, diletta sposa, vieni nel regno della grande felicità. Vieni a vedere quello che avviene oggi, in prossimità della festa dei Santi. Vieni con me e gioisci, per le mie delizie. In questo luogo, immenso ed incantevole, vedi ovunque una grande gioia. Le anime per farsi conoscere da te hanno tutte le sembianze che avevano sulla terra e quelle che avranno alla fine del giudizio. Vedi tanta esultanza ovunque: i volti sono gioiosi e l’aspetto assai leggiadro. Molte anime ti vengono incontro, ti comunicano nel silenzio la loro grande felicità. Ti dicono con l’espressione del loro volto che anch’esse sono passate attraverso il travaglio terreno e giorno dopo giorno hanno operato nella fedeltà a Dio. Dicono che anche per loro gli ultimi tempi del loro esilio sono stati duri, perché il nemico antico ha cercato di distrarle ed attirarle nella sua rete. La sua strategia è sempre la stessa, dall’inizio della creazione. Esse hanno resistito ed hanno vinto. Vedi: qui non c’è ombra di tristezza; i volti, gioiosi, trasmettono gioia. Oggi, poi, c’è un fermento speciale: gioia si aggiunge a gioia, gaudio a gaudio. Il giorno che sta per giungere arricchirà il Paradiso di nuove anime che stanno per staccarsi dal luogo di purificazione per raggiungere la patria celeste. Nei due giorni che seguiranno molte anime saranno sciolte e potranno volare verso la grande felicità: tutto qui è pronto per accoglierle. Vedi quanto è grande la carità, quanto l’amore che unisce anima ad anima? Per le vostre preghiere, queste finiranno di soffrire e potranno vedere, felici, il mio volto. Quanto potere ha la preghiera! Neppure la minima si perde. Se gli uomini capissero la sua importanza, ti dico che starebbero in preghiera giorno e notte, notte e giorno, sempre, ti dico, senza pensare a perdere neppure un attimo di tempo. Mia sposa, amata, dillo e ripetilo ai fratelli, dillo e ripetilo: sia ogni momento di vita, sia ogni attimo preghiera, preghiera, fervida e profonda. Non occorre pronunciare tante parole: basta che il cuore e la mente preghino sempre, giorno e notte. Chi crede di ottenere, solo a forza di parole e parole e parole, s’inganna. L’uomo pensa spesso, troppo spesso, di parlare con un altro, suo simile, di dover dire molto per essere un poco capito; deve invece comprendere che si rivolge a me, Dio, al quale basta ben poco, assai poco per comprendere tutto. Anche un semplice sospiro diviene preghiera. Anche un solo sguardo amoroso, rivolto verso una mia, amata, creatura diviene preghiera. Anche l’osservazione, ammirata, di un piccolo fiore da me creato diviene preghiera. La vita intera per chi mi ama si trasforma in preghiera. Pensate a me, pensate a me giorno e notte, pensate al mio sacrificio, fatto per voi. Pensate a tutte le fasi della mia vita sulla terra: meditatele nel S. Rosario, che la Madre mia vi invita a recitare col cuore e con la mente. Divenga gioia e consolazione la preghiera: con essa, solo con essa potete staccarvi dal grigiore del mondo ed entrare, come tu sei entrata, nello splendore del Paradiso. Toccate solo la terra, sfioratela per un attimo solo per servirmi e fare ciò che vi chiedo; passate tutto il resto con me, nel regno della gioia. Chi ora è in Paradiso col cuore vivrà in questo regno di beatitudine; ma guai a chi vi ha, liberamente, rinunciato per seguire le vanità del mondo! Vivi in me ogni attimo di questo giorno: offrimi ogni azione, ogni pensiero, ogni anelito. Piccoli, siate docili e mansueti. Non fate alcuna resistenza alla volontà Divina, accettate con gioia quello che ogni giorno vi accade: nulla avviene a caso; ma ogni cosa ben accettata vi fa salire verso la vetta più alta, lì, dove vi fermerete, allorché Gesù verrà per prendervi e non più lasciarvi. Siete alla vigilia di giorni grandi ed assai importanti. Domani voi siete nella festa di Ognissanti: la Chiesa riserva per questa occasione indulgenze speciali e assai preziose per i vivi e per i morti. Oggi la mia, piccola, figlia ha potuto per un attimo godere una gioia speciale: ha visto cosa si sta preparando per le anime, che in questi giorni verranno sciolte dalla loro prigionia di purificazione. Già tutto è pronto; la festa è grande e la gioia è incommensurabile, perché nuove perle entrano ad ornare il Paradiso e a gustarne le delizie. Vedi, piccola cara, vedete quanto possono le preghiere dei vivi, i piccoli sacrifici: i Cieli si spalancano ad accogliere le anime in purificazione e molte hanno, così, finito di soffrire, per sempre. Figli cari, siate grandi e generosi nei riguardi di questi fratelli che percorrono una via assai dolorosa. Siate grandi e generosi ed essi, saliti alla felicità, vi ricambieranno con massimo fervore e sarete molto aiutati nel vostro cammino verso il Cielo. Le anime pregano per le anime: quelle beate, che già vedono il volto Santissimo di Dio, molto ottengono da lui per quelle in cammino sulla terra, come quelle in cammino ottengono molto per quelle purganti che attendono di raggiungere la patria del Cielo. Figli cari, sentitevi tutti uniti nel cuore e nell’anima, quando pregate. Dio ascolta le vostre preghiere e manda grazie ai vivi ed ai morti. Cari, vi ho chiesto la preghiera notturna, perché essa è assai potente: ottiene grazie speciali che vengono elargite in grande quantità ai vivi ed ai sofferenti nel Purgatorio. Sapete che quando Gesù verrà sulla terra, quando verrà tra voi, molte, molte anime del Purgatorio saranno sciolte dalla loro pena e raggiungeranno la gioia? I vostri sacrifici, le penitenze, le intense preghiere, i tormenti, tutto contribuirà a rendere agevole il cammino verso il Cielo a molte anime, secondo la volontà Divina. Piccoli, vedete che vi annuncio sempre cose belle. Vi ho detto che andate verso la grande gioia: la vostra obbedienza e l’umiltà operano meraviglie, senza che voi neppure ve ne accorgiate. Solo un atto d’amore, fatto in un momento di grande sacrificio, vi ottiene la salvezza di un’anima in pericolo. Oggi le anime lontane ed in pericolo sono molte: c’è tanto bisogno di pensare ad esse; ma coloro che pregano e si offrono a Dio sono pochi, quelli poi che sono disposti a fare qualunque sacrificio per Dio e per i fratelli nel bisogno sono ancora meno. Coloro che mi hanno seguito e non perdono neppure una virgola del mio dire sono avviati verso la santità. Figli, amati figli, vi vorrei tutti Santi! Tutti vorrei potervi offrire a Gesù, come fiori profumati e deliziosi! Dipende da voi! Gesù è accanto a me e vi guarda, compiaciuto: vede che ognuno di voi è munito di Rosario, la dolce corona, alla quale ha legato grazie specialissime per la persona che lo recita col cuore e per tutta l’Umanità che ne gode le immense ricchezze. Figli cari, quando avete una pena nel cuore, servitevi di quest’arma, potentissima. Quando un uragano si abbatte nella vostra vita o in quella dei fratelli, servitevi di quest’arma benedetta. Dio elargisce grazie, potenti ed immense, a coloro che ogni giorno, secondo il mio insegnamento, recitano il Rosario completo e meditano i misteri gaudiosi, dolorosi e gloriosi. Nessuno dica che sono un po’ lunghi da recitare tutti! Trovate il tempo, amati figli, trovate sempre il tempo per farlo: lasciate le vanità che spesso rubano attimi preziosi! Siate tutti di Gesù e miei. Una madre parla solo per amore. Ascoltate le mie parole; sono la Madre di Gesù, ma anche la vostra, per sua volontà: come mi sta a Cuore la vostra anima, quella di tutti e di ciascuno! Gesù mi ha detto: “Madre amatissima, aiutami a salvare le anime. Voglio che alla grande festa, già preparata, siano tutte presenti”. Io dico a voi: figli cari, pregate con me! Io prego assieme a voi: insieme, faremo tremare la terra di un brivido d’Amore Divino che salverà dalla rovina tanti miei figli e vostri fratelli. Aiutateci, figli amati, a salvare le anime! Vi amo. Ti amo, figlia diletta. ....Ora, mia diletta, ti faccio vedere in una breve scena quello che accadrà nell’arco di poco tempo sulla terra. Vedi il Cielo divenuto scuro, scuro e scintille luminose sono dovunque. La terra sussulta, come se fosse colta dalle doglie, e lampi sinistri annunciano un avvenimento diverso dal solito. Gli uomini sono atterriti su tutta la terra: non capiscono cosa stia accadendo, perché una scena del genere non si era mai veduta. Il terrore coglie molti; il panico impedisce ad altri anche di formulare un semplice pensiero. Mentre tutto questo accade, vi sono delle creature predilette che riposano, placidamente, come se nulla fosse, come se nulla stesse accadendo: nel tepore della loro stanza riposano, tranquille, come bimbi nella culletta.